Christopher Helms’ passion and focus is to bring real value to his client’s lives, living life along side of them during times of celebration and times of tough challenges. “I was born to serve and I’m truly the happiest when I’m able to help others,” says Christopher. He is also a natural born connector with a strong base of relationships and resources to support his client’s needs. His irreverent mindset allows him to execute with strong confidence and focus to achieve their goals. Christopher has spent the last 15 years of his professional life providing IT, telecommunications, and collaboration technology products and services to the United States Department of Defense and United States civilian agencies. This experience allows him to stay ahead of the real estate game by using the latest technology and communicating effectively so that he can best help each and every client. Christopher grew up in the small town of Brooksville, Florida – the same hometown of legendary NFL player, Jerome Brown. 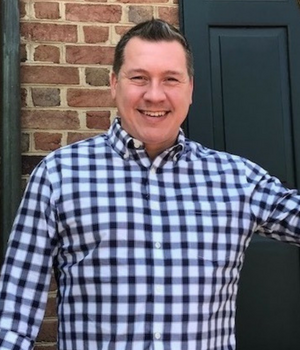 He has lived in the Northern Virginia area since 1999, having found his way here by way of love when he married his wife, Natalie, who is originally from the Chantilly, Virginia area. They have three children, Jackson, Grayson, and Avery.